The sun had scarcely risen over the eastern horizon when Scar left the den at Pride Rock behind, brooding as usual and hoping that no one would follow. A conversation with Nuka recently was still lingering in his mind: Which son did he prefer? It was like asking a lion if he would rather had fleas or worms. If given the option of Kifu or Nuka, Scar realized just how limited his options were. The russet lion had produced seven cubs in the last year, and though nearly half had been male offspring, the king was not satisfied. The outcome of each litter was like a cruel joke on the king, and he wondered what he had done to deserve so many daughters and scrawny sons... Knowing full well what he had done in the past, Scar still refused to believe it was his own fault that a worthy heir had not been produced. Instead the lionesses were blamed, as if they had control over the gender and size of their cubs. Sarafina had been cast out. Heshima was a prisoner of Pride Rock now, nothing more than a cubsitter for Scar's brood. Uma's mother Kimbilia... Well, the lioness had attempted to flee after giving birth to a single daughter, and the hyenas had destroyed the new mother before she could cross the borders. Scar had chosen Zira for a reason. The lioness was not the most visually appealing among the Pridelanders, nor was she particularly young. But there were very few creatures the king could trust, and her loyalty was never doubted. Unlike many of the other lionesses in the pride, and all of the outcast members, Zira never doubted Scar's intentions. Never aloud, anyway. The two shared similarly dark minds. The only problem was the son the royal pair had produced left much to be desired. There was still a chance that the two could try again, but Scar's gloomy thoughts had consumed his every waking moment. The paranoia, worrying that the others would rise up against him; Everything weighed heavy on the lion as he walked through the forest. Even the forest was beginning to show signs of suffering under the repressing heat that seemed inescapable in the kingdom. Scar wanted to escape his worsening mental state, the low morale of his subjects, and his lot of energetic - and needy - cubs. His tail flicked behind him as the lion walked, considering the many problems that plagued him. Being a king was not nearly as satisfying as he had imagined it would be. Behind him, he detected the sound of movements, and instantly realized he had been followed. A weary sigh escaped as he glanced over his shoulder to see who it was. This was completely demeaning and infuriating! Not to mention humiliating! Once Nuka was born everything else just didn't go as planned. Ignored for other lionesses like she was no more than-- Zira took a moment to halt her pacing and just breathe. Well, she was determined to give Scar a suitable heir, no matter what. She was Queen and as such she is meant to have healthy offspring. So why did Nuka turn out so weak?! However. Zira wasn't going to let this one failure stop her. Stalking through the forest, one of the few places left untouched by the recent drought, Zira's tail was lashing wildly behind her in silent frustration as she glared down at the forest floor as though it had done something offensive by just being there. She and Scar could always have more cubs but with so many mouths to feed in this pride... no. That wasn't the problem. The problem was neither of them were getting any younger and the royal pair needed an heir! Consumed in her own thoughts, she didn't realize the russet blur up ahead until the lioness was quite close. Coming closer as she momentarily trailed behind, Zira knew that pelt color anywhere. What was Scar doing out here so early? Perhaps he needed time alone. Zira then frowned. She honestly couldn't decide whether to be happy at seeing him or continue to be completely angry. Or, she could just ignore him too. She never had before. He was too busy consorting with other lionesses anyway. Perhaps that was a way she could gain some spark of interest back. Moving further ahead into the forest, Zira didn't look at Scar and passed by him like he wasn't there. If he could not pay attention to her, then she could do the same. It was a surprise to Scar, seeing his mate approaching through the trees, as if he had expected anyone but Zira to find him there. His eyes began to narrow instinctively, but only for a fleeting second. As soon as she approached, the lioness continued. Playing hard to get... Well, it seemed Zira knew the lion better than he knew himself, and he watched in disbelief as the striped one moved by him as if he didn't even exist. It wasn't like Heshima, who cowered at the sight of her king, or Sarafina, who practically threw herself at him in an attempt to gain his attention once more. Instead, Zira kept her dignity, and her ploy immediately piqued the lion's attention. "Well, my dear, how lovely it is to so you, as well." His voice was low with irritation, and he remained where he stood, only turning his head to watch his mate's reaction. Theirs was not a relationship filled with affection or even love. There was a mutual understand between the two, one that went unspoken. Scar needed Zira, and likewise, Zira needed Scar. Similar aspirations brought the two together: the lust for power, the need for importance. It was lunacy to think the two could create anything different from themselves, though. Clearly, Nuka was the product of two lions that had never been the strongest, never would be. They were more clever than most though, and it was still yet to be seen if Nuka would at least inherit this supposedly good quality from his parents. It was the duty of the pride lionesses to feed their king's belly and his ego, and to be there, to do as he pleased with them, if he felt so inclined. Since Nuka's birth, Scar had not attempted to seduce any of the other lionesses. Perhaps at this point, the situation had deteriorated beyond the point of Scar's control, and even if he desired another litter with a different lioness, he would be denied. A king would not be denied what was rightfully his. His piercing jade eyes remained fixed on Zira, a light smirk crossing his sharp maw. "Where are you off to in such a hurry? Have you misplaced your cub?" This was an obvious insult towards the other mothers of the pride, whose cubs often strayed, and occasionally didn't return. The dull colored lioness detected Scar's irritation in his tone but she ignored that. Scar was always in some way or another irritated. When was he ever truly happy anyway? At his question, she rolled her eyes. What was that meant to be? "Don't be ridiculous, my king. If you must know, I was getting away from the dismal crowd that fancies itself a pride." However, Zira kept going, deciding not to stop in her current stride. The forest was the only cooling and refreshing area left to be secluded, alone. Though that was not the case now. While the ruling monarchs each had mutual understandings for being mates, some small part of Zira wished she could love Scar or he do so in return. That part she couldn't help, she was still a female. However, she never brought such notions up nor showed the desire for it to him. It was pointless and a waste of time. Getting older, Zira has long since convinced herself she would never know such affection from a mate. Moving through the well-worn path, Zira didn't know if Scar was following her or not. Part of her didn't care either way. She didn't even bother to ask to him why he was out here as well. Or if he wanted company. Though Zira knew Scar was, despite himself, curious as to her behavior. The lioness wasn't going to give in so easily. She was silently amused that he was even slightly curious at all, as to what he would say next or do, Zira would wait and see. A scowl appeared when Zira insulted the Pridelanders. 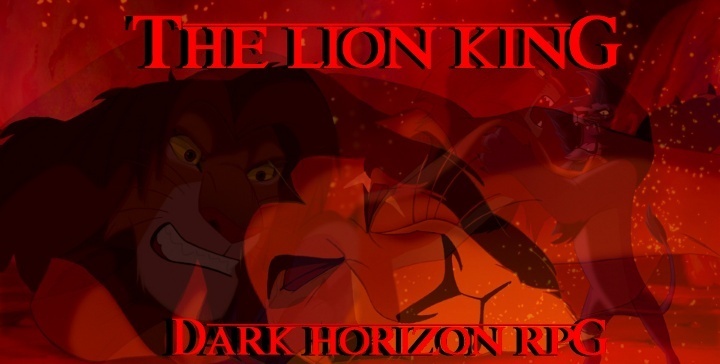 Even though Scar agreed that the group's company was irritating, and the king himself often avoided them, it was still his pride. "Is there a problem? Are the other lionesses not showing due respect for their queen?" Few of the pride members readily accepted Zira as the new queen, despite the fact that months had passed since Scar's decision to give the striped lioness the title. Certainly, she was nothing like the former queen of the Pridelands, and poor Sarabi suffered more than everyone else in the lands, as Scar's treatment of her was merciless and unnecessarily cruel. What had Mufasa ever seen in her, anyway? Zira was clever, a force not to be reckoned with, and for Scar, the perfect choice for queen. Zira simply continued her walk through the forest, as if Scar didn't exist, and so the russet lion trailed after her with his head lowered. "Your son has informed me that you seem to be disinterested in training him. You will be pleased to hear that I have decided to increase Nuka's rations." Maybe then, the scrawny cub would grow into an heir to be proud of, but until the day came that Nuka proved everyone wrong and grew up strong, his father would remain unconvinced. Mheetu was gone, and Kifu was too much like his mother. This left only Nuka, and this left the father of seven feel utterly disappointed. Nuka simply wasn't good enough. There was still the prospect of having another litter, but it would not be with Heshima or Sarafina. The other lionesses had lost Scar's respect, while Zira acted as if she was too good to stop and speak to her mate. No matter. The brute would follow Zira for as long as she walked through the trees, a bemused expression playing his features. His large paws, claws splayed, crunched in the dried leaves that littered the forest floor noisily. "Nuka certainly has no interest in his half-siblings, he doesn't play with any of them. How ever will the boy learn to fight, if his mother will not teach him?" "Yes, I'm aware of your decision. Nuka came and told me as much. In doing so, I have decided to train him. See if anything good comes out of it." Zira hoped Nuka would not be a disappointment, they had too many of those running around Pride Rock. Feeling a bit parched for thirst in this over-heated forest, the queen found a watering hole and lowered herself to drink. Zira would probably begin Nuka's training this evening, no doubt her cub was excited at the idea. He only badgered her about it quite often as it was. She didn't have any definite idea just yet on how to go about it, though she was certain something would come to mind. As of now, Zira needed a small mental break. So many questions had been plaguing her and she simply just wanted to relax. After all, it wouldn't do her any good to become a worry-wort. Then she'd be just like Sarabi and that was the last thing she wanted. In any case, an agreeable decision was made on Nuka. Train him and see how things turned out. Hopefully this wouldn't let Scar down, she knew he was quite possibly embarrassed on his seven cubs not living up to his expectations. If this plan didn't work out for Nuka, Zira knew she needed to do something. Anything to get them the heir they so desired. In the meantime, Zira wasn't going to give her mate the satisfaction of giving him much attention. Treat him the same like herself, what did he really care anyway? Come to think of it, when did Scar care for anyone but himself? Did he really care about the outcome of the pride? In a manner, Zira did. They needed daily necessities just to live. The more this went on, how were they even going to raise new cubs? If there were any. 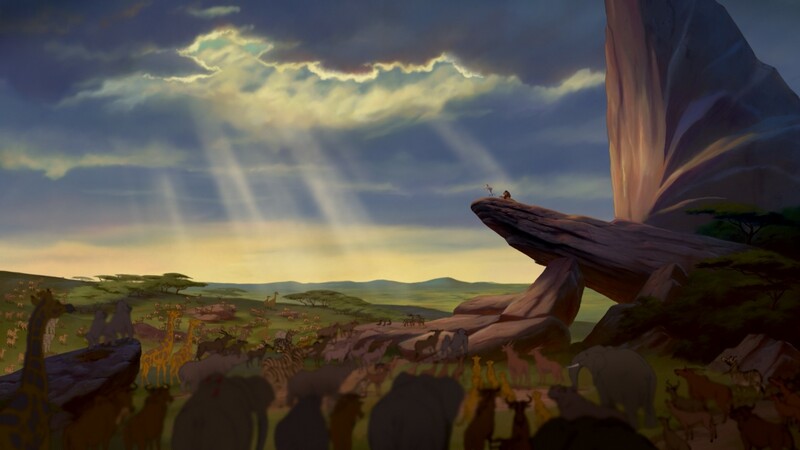 The king had long abandoned his attempts to offer false hope to the pride that the rains would soon return. The lionesses were not convinced that the situation in the Pridelands would improve, and frankly, neither was Scar. More important than the pride, his own family, was his personal pride. Scar needed to feel secure in his position, loved the way Mufasa had been. The more Zira acted aloof, the more he wanted her to pay attention to him. His tail flicked in minor irritation as she continued on her way, but he did not lash out at her like he would have any other lioness. Perhaps he did not feel for Zira the way a mate should, but in some funny way, he did care for her, at the very least. Cubs were expendable. More could be produced, as easily as the siblings that had gone before. This very thought caused the dark lion to smile unexpectedly as he trotted to catch up with his queen, brushing his russet fur against her tawny pelt. "Come now, Zira. I have seen so little of you lately, but you must know, your presence is welcome. The others are such complainers, never satisfied, it's enough to drive a lion mad. But you are stronger than the others." A strange grin crossed his muzzle as he kept pace, and there was a twinkle in his cold jade eyes. "Nothing makes a lioness more desirable."